Client First. We put clients first. We listen to their needs and make responsible decisions. We foster long-term relationships built on communication and trust. 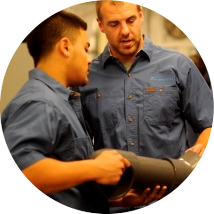 We honor our commitments and continually search for new ways to add value. Ideation. We encourage a culture of creativity that fuels new ideas and innovations. We create work environments that allow for organic thinking and inter-departmental communication. We value the creative efforts of our employees and translate them into value for our clients. Resourcefulness. We promote a discipline of resourcefulness at all levels of our company. We believe that resourceful teams add value by approaching problems with practical and actionable ideas. This resourcefulness creates efficiency and value which improves the client experience. Continuous Improvement. 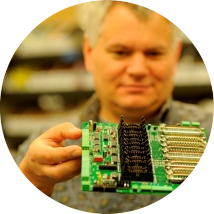 We continually re-invest in research and systems that improve our technology and service offerings. 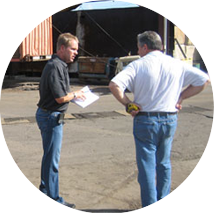 We strive for vertical integration that streamlines the improvement process. We believe that the technology and solutions we deliver are the ultimate benchmark of our collective efforts. 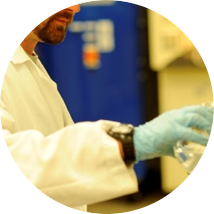 WaterTectonics was founded by Seattle entrepreneur, Jim Mothersbaugh, in 1999 with the vision of developing innovative water treatment technologies that would allow businesses to meet the demands of new and future environmental regulations. 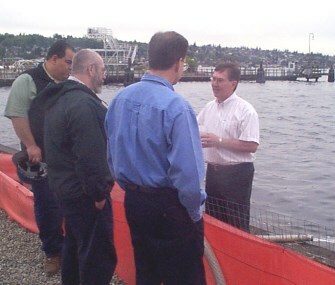 The company opened its first manufacturing and research facility at Fishermen’s Terminal in Ballard in 2000 and shortly after received Washington State Department of Ecology Approval to deploy its new WaveIonics electrocoagulation technology for surface water treatment at a high-profile remediation project on the shores of Lake Washington. The project was a success for the company, and they quickly grew to meet the regional demands of construction and remediation contractors. By the end of 2003, the company had grown to five employees and had acquired Eco Endeavors, a small environmental permitting and consultancy firm, to expand service offerings to its customers. In 2004, WaterTectonics expanded into the industrial markets, targeting permanent facilities with surface water discharge permits where compliance was becoming increasingly difficult. During this time, the company developed a variety of new products and services to meet the evolving needs of both its construction and industrial customers. In addition, WaterTectonics secured a technical and representation position with Royal Environmental Services to develop innovative new urban stormwater treatment systems. By the end of 2008, the company had grown to 18 employees and had moved to a new 8,000 square foot office in Everett, Washington. 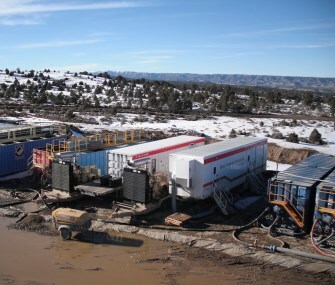 In 2009, WaterTectonics secured its first major project in the oil & gas industry, targeting on-site recycling of flowback and produced water from natural gas operations. 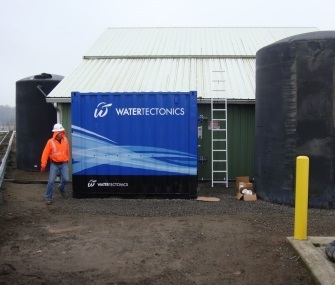 The company’s electrocoagulation technology was quickly recognized as one of the leading alternatives for water treatment in the industry, and in 2010, WaterTectonics signed a global licensing agreement with Halliburton. 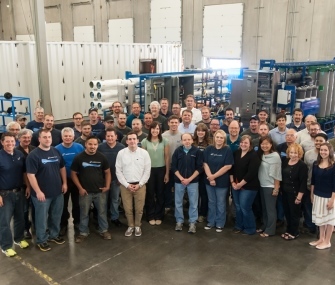 The company moved to a new 38,000 square foot facility in Everett, Washington and tripled its number of employees while meeting a record number of deliveries for Halliburton’s new CleanWave water treatment systems, designed for the North American natural gas flowback market. In 2012, WaterTectonics expanded internationally and secured major pilot projects in Canada and Colombia in both oil & gas and mining industries. In 2013 and 2014, WaterTectonics furthered its international expansion by securing projects in Brazil, Australia, Chile, and Oman.  At the end of 2014, the company signed a joint venture agreement with OmWater to deliver water treatment services to the oil & gas industry in the GCC. Today, WaterTectonics continues to be active in all of its leading verticals, developing new technologies and executing on larger and more complex water treatment projects around the world.